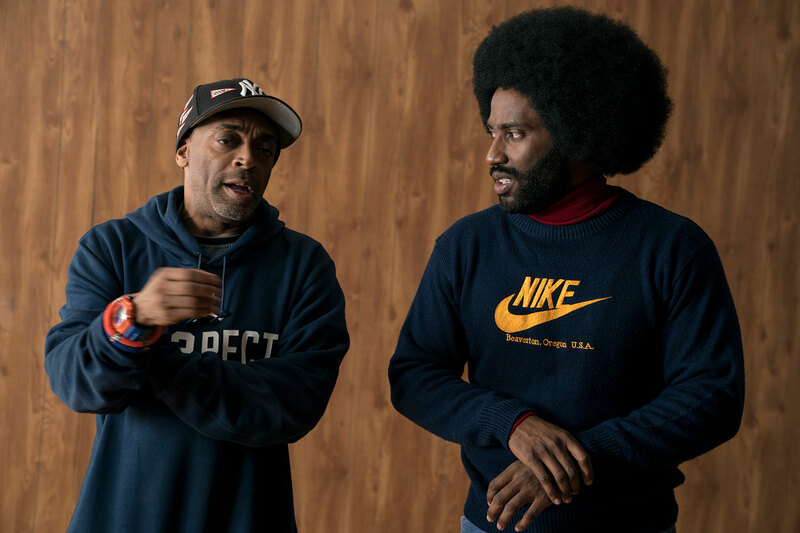 Spike Lee's well-reviewed "BlacKkKlansman" opened so well across the board that it will be able to further expand. The box office is upbeat on a mid-August weekend that is usually a down period. Original actioner “The Meg” (Warner Bros.), a non-franchise film, opened to $44 million domestic and $91 million foreign. That’s way beyond industry expectations. Opening more narrowly (1512 screens) and performing ahead of predictions was Spike Lee’s “BlacKkKlansman” (Focus) at just under $11 million. And there’s other positive news: the weekend totaled about $145 million, about a quarter higher than last year, with year-to-date grosses 8.7 percent ahead of 2017. Add to that a rash of strong holdovers led by “Mission: Impossible – Fallout” (Paramount), which is headed for an over $200 million domestic total. On the other hand, with a reported cost of over $170 million plus global marketing expenses, this movie cost the studio over $300 million. That’s a lot of money to recoup, with half the gross going back to theaters. Two summers ago, $144-million remake “Ghostbusters” opened better at $46 million and was instantly dubbed a failure. That comedy did lose money for Sony, partly due to pushback against the all-female cast and a lack of foreign appeal. In stark contrast, “The Meg” is Exhibit A for the new studio paradigm. It has an easy-sell plot crammed with VFX, global marquee draw Jason Statham, taking a break from the “Fast and Furious” franchise, and is officially a Chinese-American co-production. The initial foreign result adds $91 million to domestic weekend totals, covering most major countries (Japan, South Korea, France, Mexico, and Australia are still to come). Will it reach recoupment levels? The biggest country initially is China ($51 million) which will yield more-than-usual film rental to Warner Bros., though still less than 50 percent. China’s share of the initial opening is unusually high. We need to see how this holds. At this point, unless this becomes a long-legged player, it’s hard to see it reaching the magic number $400 million worldwide. “BlacKkKlansman” (Focus) is one film that likely gets little international interest but remains an important cultural focus point domestically. Focus opened in August, which is popular for adult African-American films with crossover potential (“The Butler,” “Fruitvale Station,” “Straight Outta Compton”). Despite coming out after two recent films targeting the same audience (“Blindsptting” and “Sorry to Bother You”), “BlacKkKlansman” hit its marks with a gross well above the predicted $8-10 million. Building buzz from Cannes, the critically acclaimed and well-publicized picture, while covered on news channels, managed to ride its political issues as well as entertainment value to a strong gross. It’s hardly a blockbuster yet, but initial signs are good. Often these expanded breaks are too wide, with most of the gross coming from 10 to 20 percent of the runs, with half or more seeming questionable and prone to early removal from theaters. That’s not the case here. The vast majority of the theaters rank in the top six of films playing, even when one gets down to the lower-grossing ones. That means they will sustain their runs even if Focus has already cherry-picked the best theaters. But the gross is strong enough to warrant expanding even more. While “The Meg” is the #1 film overall, “Klansman” took top position at such key theaters as the Arclight Hollywood and the Landmark in Los Angeles, the Lincoln Square, Alamo Drafthouse, and Union Square in New York, and several major suburban Los Angeles complexes. That’s in addition to its strong showing at key theaters in African-American neighborhoods. Nationally, “Klansman” was up Saturday by 14 percent from its initial days’ total. That’s very encouraging for word of mouth (and also means it is getting an adult audience). That’s a solid base of initial word of mouth to encourage Focus to keep pushing this going forward. Two other wide films opened. The $10-million Sony horror entry “Slender Man” in wide release scored over $11 million, but dropped 21 percent Saturday, and earned a horrible D- Cinemascore grade. Figure it may have already gotten half its gross. Family film “Dog Days” (LD) opened last Wednesday. Its five-day $3.7 million total wouldn’t have been enough to get it into the Top Ten for the weekend. The long-term powerful performance for “Mission: Impossible – Fallout” has arrived right on schedule. At $162 million, it is $6 million ahead of “Rogue Nation” even adjusting the 2015 series entry to current ticket prices. That’s a terrific result for Tom Cruise and Paramount. This projects out to a final domestic total of $210 million, perhaps $600 million worldwide. Mission accomplished. The second weekends of both “Christopher Robin” (Disney) and “The Spy Who Dumped Me” (Lionsgate) came in just under 50 percent. Neither had a stellar opening, but neither collapsed either. “Mamma Mia! Here We Go Again” (Universal), Sony’s “The Equalizer 2” and “Hotel Transylvania 3: Summer Vacation” and “Ant-Man and the Wasp” (Disney) all had smaller drops in the 35-37 percent range, very healthy holds.